Science cannot be understood by memorizing concepts. Our aim in science tutoring is to help strengthen student's knowledge of the concepts they are learning in school, thereby attaining higher scores and increasing the desire to learn more. 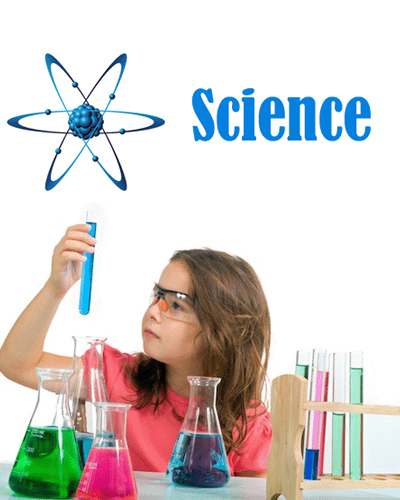 Our science tutoring program help students develop critical thinking and the reasoning skills of science. Many students and parents alike find science complicated and confusing. As a results, they feel overwhelmed and frustrated. Our tutors help break science down and work through the curriculum at a pace with which the student are comfortable. The important tangible goal for students is that they overcome their frustration and build confidence for success in their exams and assessments. Our tutors are committed to taking the stress out of the science class and making it an enjoyable subject. More time is spent with students facing specific difficulties and long- term regular support is always provided. Our School Support Program offers individualized tutoring for middle school science classes, 5th and 8th grade science EOG preparation, and most high school science classes. 6th Grade Students- Earth Science: teaches concepts traditionally taught to 9th grade students. Concepts learned in Earth Science are prerequisites for the following high school classes: Honors Earth Science, AP Environmental Science, Environmental Science and Physical Science. 7th Grade Students-Biology: teaches concepts traditionally taught to 9th and 10th grade students. Concepts learned in Biology are prerequisites for the following high school classes: AP Biology, Honors Biology, Biological Projects, Marine Ecology, Honors Marine Ecology, and Vertebrate Biology. 8th Grade Students-Chemistry: teaches concepts traditionally taught to 10th and 11th grade students. Concepts learned in Chemistry are prerequisites for the following high school classes: AP Chemistry, Honors Chemistry, and Organic and Biochemistry. 8th Grade Students-Physics (must have taken or be enrolled in Common Core Math 1): teaches concepts traditionally taught to 10th, 11th, and 12th grade students. Concepts learned in Physics are prerequisites for the following high school classes: AP B Physics, AP Physics 1, AP Physics 2, and Honors Physics.